Paloma Capital, the fund manager co-founded by Joe Froud and Jack Pitman in 2015, has completed the final close of its first UK real estate private equity fund, raising a total of £140m of equity. Together with senior debt, Paloma Real Estate Fund I LP, which will be focused on the multi-let industrial sector, will have firepower to invest £300m. The fund has already committed £78m of equity, amassing a £150m portfolio of 21 assets through 16 transactions, which produce an initial yield of 8% a year. 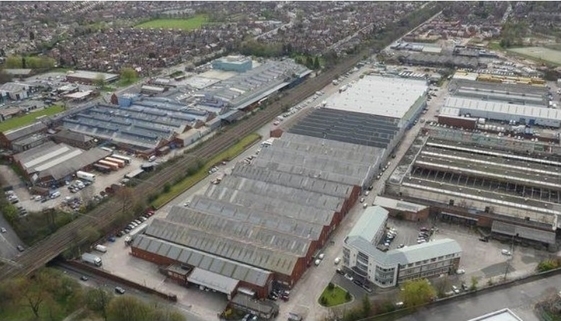 Significant acquisitions to date include Crossley Industrial Park in Stockport, Globe Industrial Park in East Manchester, Manorside Industrial Estate in Redditch, Anchorage Park and Interchange Park in Portsmouth, Tinsley Industrial Estate in Sheffield and The Flint Portfolio of retail warehouses acquired from B&Q. The fund targets smaller undermanaged assets and drives value through capital investment, active tenant engagement and portfolio aggregation. “In a market where most investors seem obsessed by big shiny logistics boxes, we have acquired 2.5m sq ft of smaller multi-let estates that are benefiting from exactly the same positive supply/demand dynamics, but are half the price per sq ft and deliver almost twice the yield,” Froud said. Paloma launched the fund in December 2015 with a first close of £98m of equity and has completed three subsequent closes, the final one in June 2017. About half of the equity has come from six investors that previously committed capital to funds raised by Columbus Capital, a joint venture that Froud and his team established with Schroders before creating Paloma. 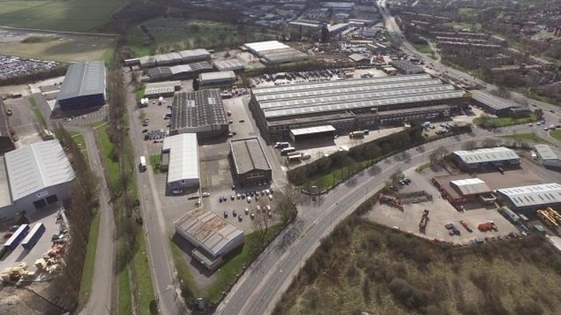 Tinsley Industrial Estate in Sheffield (pictured). The fund’s 21 investors include large corporate and state pension funds and family offices and high-net-worth individuals from the UK, Switzerland, Asia and the US. Paloma also has access to further co-investment capital if required to finance larger transactions. It has a credit facility with Silicon Valley Bank and senior debt has been provided by Santander, RBS and Wells Fargo. Paloma was advised by Greenberg Traurig on the fundraise, with Lazard & Co acting as exclusive placement agent.